Office Depot have streamlined messaging, to and from their mobile sales teams, by implementing an integrated Mobile Communication solution from ProcessFlows. 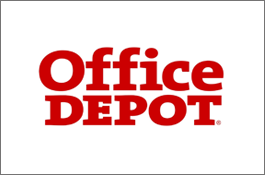 Office Depot is the country’s leading contract supplier of office products – computer consumables, print management, office furnishings etc. The company’s well-known own brand, Niceday, is widely recognised for value and quality. Office Depot has multiple UK locations and many big name customers which include BT, large banks and many local councils and NHS trusts. In addition to giving mobile staff better access to their messages whilst away from the office, there was a requirement to provide an integrated SMS solution that could be used to contact staff and customers alike. Alongside the industry-leading CX-E unified messaging platform (which now gives Office Depot staff access to voice, fax, and email messages in one place, no matter where they are), ProcessFlows installed their SMS Gateway. This was integrated with MS Outlook on users’ desktops to enable the sending & receiving of text messages to all contacts – staff, customers and suppliers – via the familiar email front-end. Messages can be sent to individuals or pre-determined global groups in exactly the same way as an email. In addition to using the text messaging solution for a quick and reliable method of contact, Office Depot are using SMS in the IT department to provide automated notifications and alerts if there is a technical problem, removing the need to retain engineers on-site overnight.